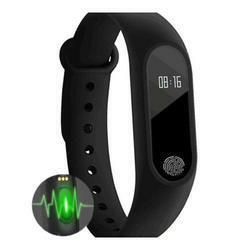 Leading Manufacturer of smart watch-m2, smart watch-id 115, smart watch-i5 plus, smart watch-u8, smart watch-tw 64 and smart watch-dz 09 from Mumbai. This bracelet like looking product has many features. Activate it on the PC at the first usage. It can be charged directly by the USB. 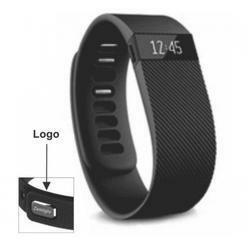 It easily tracks our daily activities like steps taken, distance covered, calories burnt etc. Uses Bluetooth to connect to the mobile. It can be also used for remote notifications of important apps and as a remote camera. The OLED display has clear visibility. 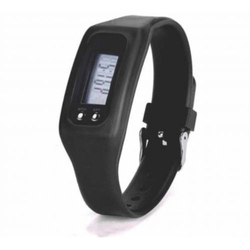 This product also has the Anti-lost feature, besides the sleep monitor and sedentary reminder. It is IP67 waterproof. You can also share your health data on social networks in it. This slim looking smartwatch looks cute on the hand. It has a rectangular touchscreen, a Bluetooth support to connect to the mobile. It is completely water resistant. It has a 10 days replacement guarantee. It is mostly used for any sports activities like running, gymming etc. The dial and strap color is pure black and the strap material is made of rubber. It can be worn by both, men and women and the strap is fit enough to be worn by slim as well as fat people. The battery life is of 2 days. This product has a 1.48 TFT LCD capacitive touchscreen, with a pixel resolution of 128*128. The dial material is plastic and the flexible strap is of TPU. It is compatible with Android only, it has a phone book feature and the Bluetooth connection is only for calls and SMS. The battery is of 230mAh, with 3 hours usage and the charging time is 1 hour. It can be used to control music and has a built-in speaker too. It has a sleep monitor, a pedometer, a water intake, and sedentary reminder. Other features are a clock, calculator, gravity sensor, stopwatch etc. This health monitor smartwatch is loaded with good fitness features. It can accurately count speed, distance and the calories burnt by you. It also has an in-call reminder, a sleep monitor, a wake-up alarm, a drink reminder, and a sedentary reminder. Besides these, it can also calculate and manage your BMI. it can detect your sleep quality and is water resistant up to 3 meters. It is best used for sports. It can also be used as a remote camera and has a useful anti-lost feature. It has event trigger, call, and message reminder too. This benison smartwatch is very useful to use. 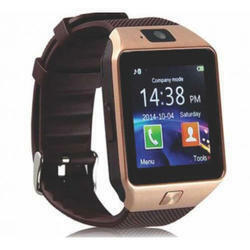 It has a full-colour capacitive display with 3 watch faces and a band which is adjustable. The smooth touchscreen is of 1.54 inches; it has a hands-free calling and dialling directly for your Android or iOS. The Bluetooth mode for Android supports features like anti-lost, phone book, remote camera, push notifications for select main apps etc. it also supports music player controls, and has a sleep monitor, calendar, calculator, alarm clock, pedometer, call sync, stop watch etc. it is water resistant and has 10 days warranty. The pedometer in this smartwatch correctly records the number of steps you have taken and the calories burned and the distance covered and displays them instantly. Both men and women can use it for fitness activities. The material of the case is plastic and the band material is silicone. The dial watch is a rectangle. It has 2 buttons beside the watch. It has time functions too. The dial diameter is 27mm, case thickness is 16mm, the bandwidth is 18mm, the length of the wristband is 230mm, and weighs 0.15kg.